Established in memory of Lorraine Chan, BCom 1992 and awarded on the basis of financial need to female students who have experienced an interruption in their formal education and are registered in any Faculty or School. Preference to students in Commerce. As a graduate of Queen's Commerce, Lorraine Chan went on to make the most of this important educational foundation. Upon completion of her CA designation, Lorraine tackled progressively challenging career opportunities in South East Asia and Hong Kong. 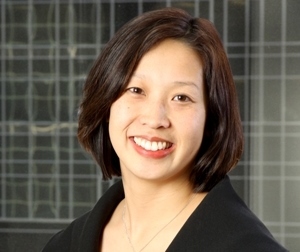 When she returned home to Calgary, AB, Lorraine joined the firm Conroy Ross Partners, in time becoming partner & CFO; she also served as a Director on the Boards of several organizations which nurture education in her community. As a keen advocate for women in leadership, and providing opportunities to help women recognize their strength, this bursary is being established in accordance with Lorraine's interests.